Welcome to Vegas Valley Garage Door Repair – the full service Garage Door company that Southern Nevada home and business owners have been choosing for quality Garage Door and Opener Services in areas such as Aliante, Anthem, Desert Shores, Eldorado, Enterprise, Green Valley Ranch, Henderson, Inspirada, Mountain’s Edge, North LV, Paradise, Peccole Ranch, Providence, Rhodes Ranch, Seven Hills, Silverado Ranch, Spring Valley, Summerlin, Sunrise Manor, The Lakes, Tuscany Village & Las Vegas Nevada, Nevada since 2008. We are available 24/7 and provide same day appointments and emergency service. We offer new construction installation, replacements and upgrades, remodeling, emergency repairs, adjustment, tune-ups and preventive maintenance of Doors, Openers, Remote Controls, Motors, Springs, Hinges, Tracks, Cables, Rollers, Panels etc. 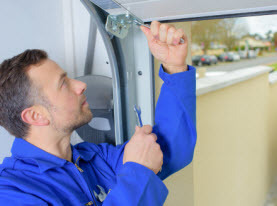 Vegas Valley Garage Door Repair has the best team of expert garage door service professionals who know how to best handle each and every type of garage door and its various components. 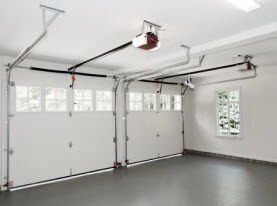 Each of our technicians goes through a rigorous training process that covers every known garage door repair technique. We only let them onto the field once we know they are completely trained, and can perform a job to perfection. 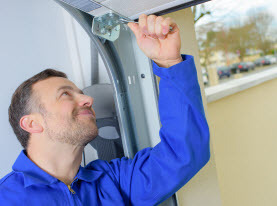 After this, our technicians are continually updated with all the latest knowledge, training and information in order to do their work most efficiently. 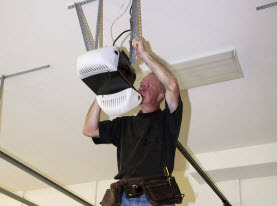 Our preferred brand is Liftmaster but we offer expert service of all brands, makes and models. We are Licensed and Insured, and have been in business for over a decade. Count on us for unbeatable prices, efficient service and reliable results. Call us today and discover why we are a local leader in our field!